Hepcat came up with The Alternate "TODAY" 2 LP set, pretty similar to FTD's 2 LP release from 2016. 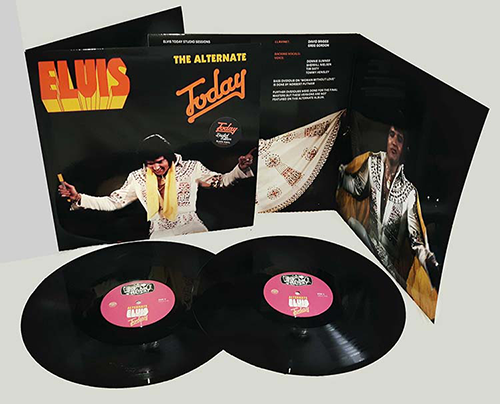 The publicity notes, Elvis' last real studio sessions took place on March 10-13, 1975 and resulted in the Today album. Now 43 years later Hepcat records releases : 'The Alternate "TODAY" as a deluxe 2 LP set. Now released and it is a true beauty! Available in black or blue virgin vinyl in a deluxe gatefold cover. This is a very limited edition so get it while you can. This Hepcat album features the "Undubbed Masters" plus various outtakes.